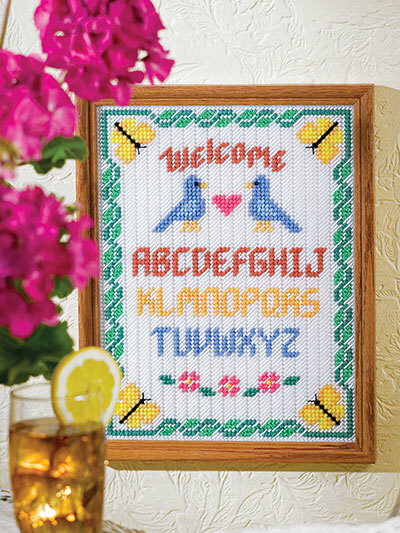 Welcome guests with two sweet little lovebirds. This piece will look beautiful in an entryway or dining room. This e-pattern was originally published in Big, Bold & Bright Plastic Canvas. Size: Each fits 10" x 13" (25.4cm x 33cm) frame. Made with medium (worsted) weight yarn, metallic cord, #5 and #3 pearl cotton, and 7-count plastic canvas.